Company announcements have traditionally been handled via press or news releases. Email and social media changed that landscape, although some think that they're really designed for less weighty corporate topics. When a company wants to announce important news, product changes, etc, a press release is still the go-to communications tool. That said, a tool being used more often today is the video announcement. As in any other context, a video adds personalization that the (solely) written word can't match. A lot more information can be passed via video and studies show that they are remembered longer than those other mediums. After the problems they've been having over the last couple of years, I recently received an email from Wells Fargo. It was a mass email sent to all their customers that included an embedded video that shows the CEO apologizing and making a case for the organizational changes. It made a good impression on me and I can't imagine an email or social media post doing as well. I'd be interested to see the metrics on it. 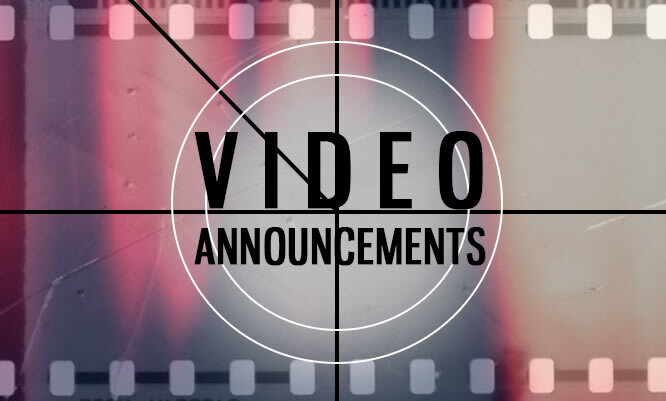 Announcements would be handled a little differently than typical marketing videos. They're more timely, so I doubt you'd want to share them to a video channel that can be viewed over time. They're really ideal for email transport, and social media isn't far behind (although they can be publicly retrieved unless they're deleted). Still, there's certainly a growing acceptance and use of the video announcement. Twiin Media is an Atlanta corporate video production company. Call us for your next video campaign at 404-664-9907.